The Yacht Club’s striking nautically-inspired design reflects the heritage of this unique setting. Superbly located at the gateway to Cape Town’s Waterfront, on the doorstep of the city centre, and a mere stone’s throw from the Cape Town International Convention Centre (CTICC) it offers easy, dedicated access at the junction of several transport systems and enjoys direct connections to the city’s major arterial roads. Situated within the Roggebaai Canal Tourism Precinct, The Yacht Club is linked to an outstanding variety of world-class tourist, business, transport, retail, and recreation facilities, all within its immediate vicinity. The iconic mixed-use development offers a matchless opportunity for a vibrant New Urban lifestyle in Cape Town. 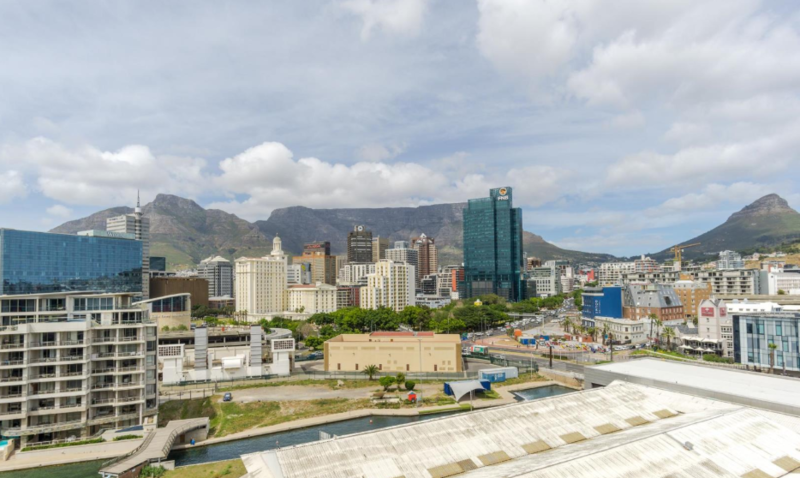 With breath-taking views of the mother city and harbour, this prestigious foreshore development comprises two towers of modern apartments along with the AC Hotel by Marriott, set on a podium of premium-grade office space. With an emphasis on style, comfort and convenience, we at Vacasa South Africa offer two Yacht Club apartments for your corporate stays or on a 6-month rental basis. The one-bedroom en-suite units accommodate an open plan lounge, kitchen and dining area with high class finishes throughout. Floor to ceiling windows allow full scape of the magnificent mountain or water views. With secure underground parking, additional features include state of the art security, concierge front desk convenience, eco-efficient and smart tech, air-conditioning, brand new modern kitchen appliances and excellent 24-hour manned security. Waterfront properties for sale in Cape Town are rare and highly valued. The Yacht Club meets all the requirements of a great investment and lists among the highest returns on investment in South Africa. Want to buy this property? Click here for Vacasa SA Realty.